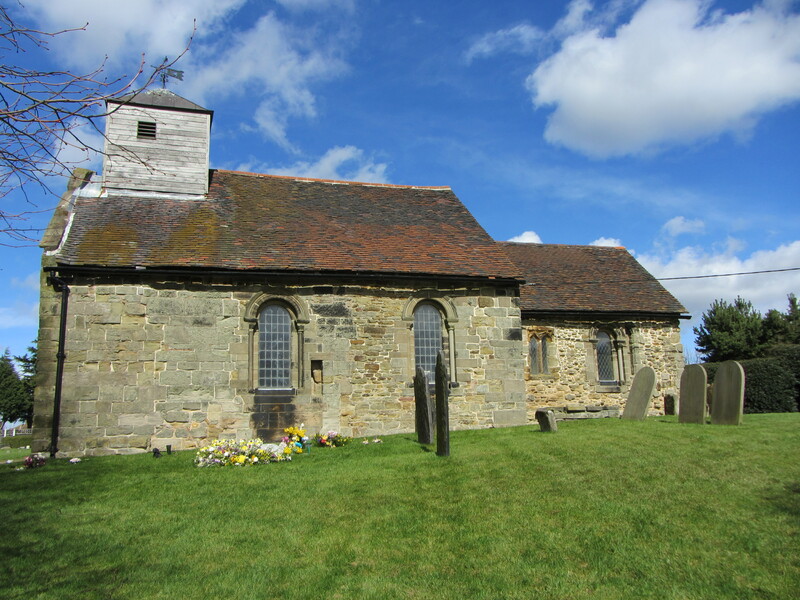 Church of St Matthew, Shuttington, 29th March 2016. 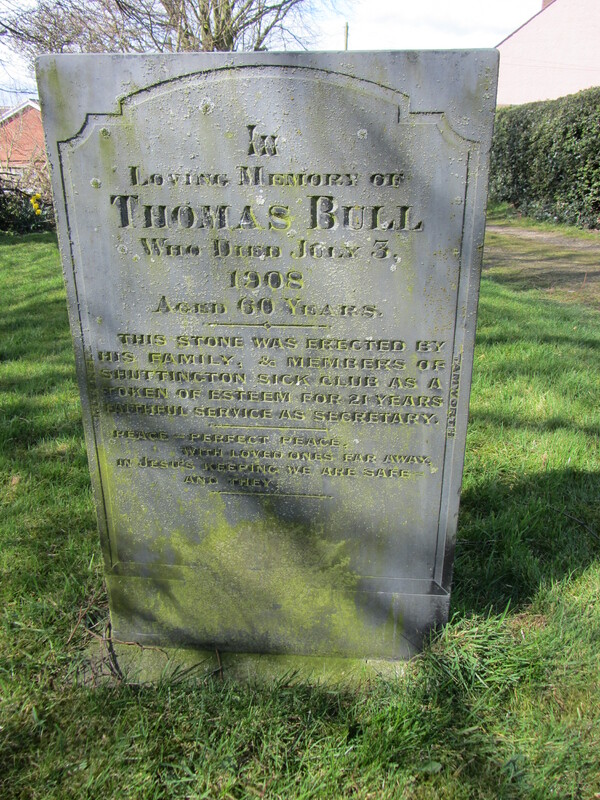 Gravestone of Thomas Bull at Church of St Matthew, Shuttington, 29th March 2016. 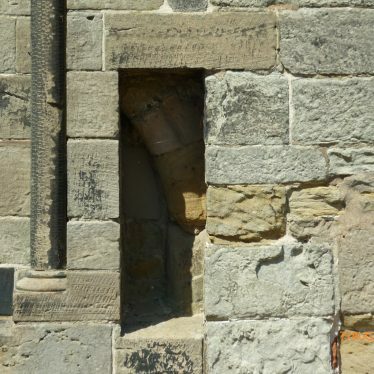 Church of St Matthew, Shuttington, 2018 Remains of doorway. 1 Chancel and nave only. 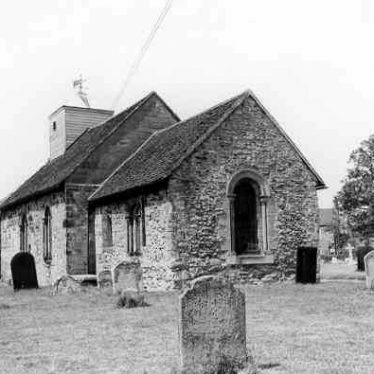 Nave of c1150 with later alterations. Chancel rebuilt 13th century. Modern boarded bell-turret with pyramidal roof. 18th century pulpit. 2 Small building standing on high ground. 5 12th century W doorway, blocked 12th century S door. 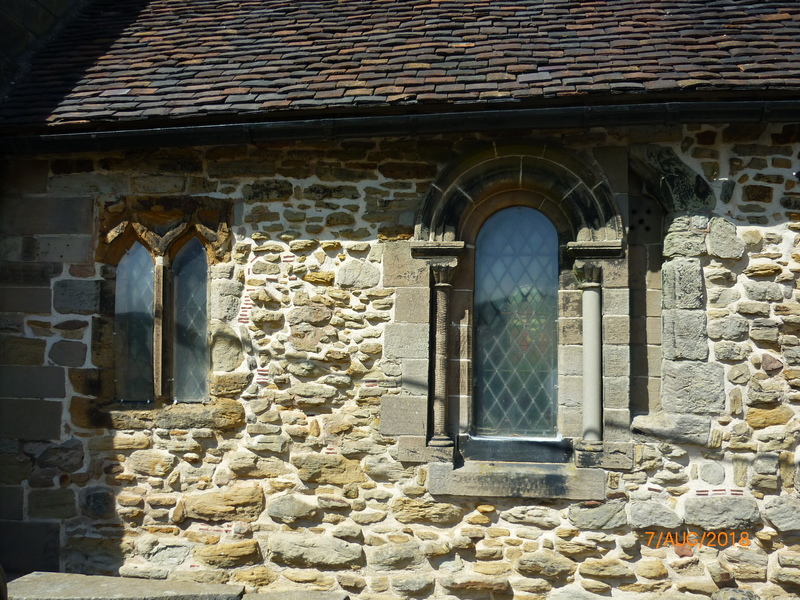 Restorations 19th century and 20th century – later medieval windows removed and replaced with ones in the 12th century style. Font possibly on earlier pierbase. 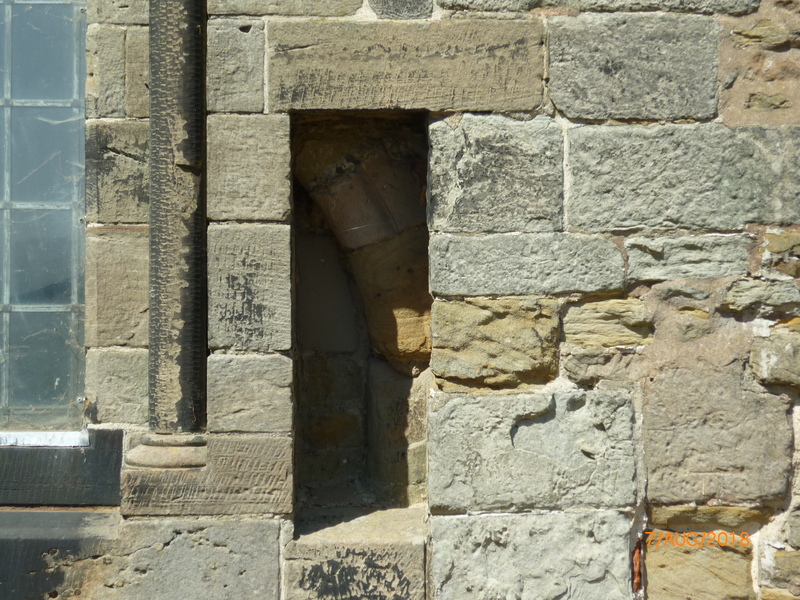 External drains – shallow trench – appears to have cut away part of the plinth on N and S nave walls. Probably good survival of below-floor deposits. 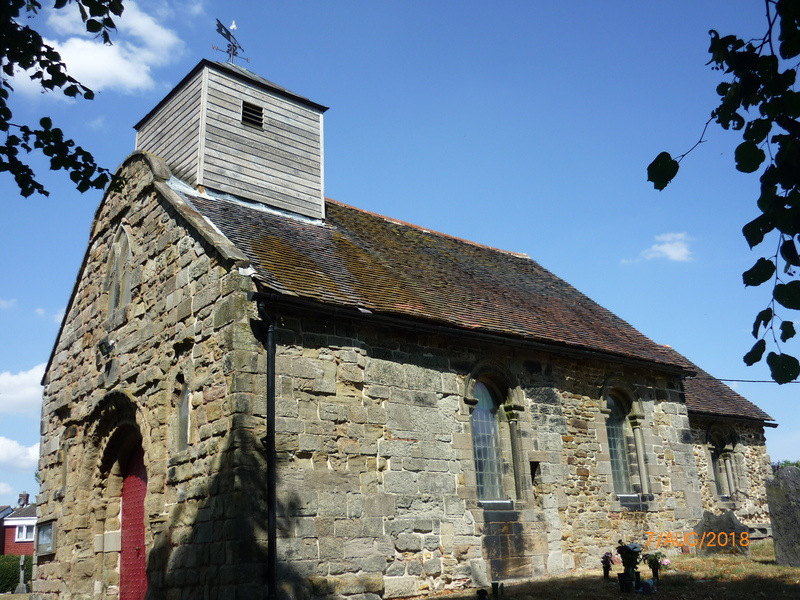 6 Historic buildings assessment undertaken as part of proposed development work at church, recording elements of west front, nave north wall, nave south wall, chancel south wall, chancel north wall and chancel east wall. Restored in 1908, traces of original windows and what doorway can be seen. 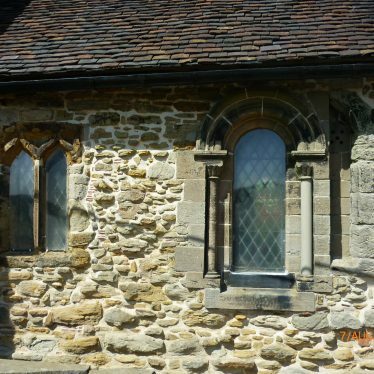 It was supposedly a chapel of the nearby Alvecote Priory. A canal and canal basin. An artificial waterway used for transporting goods. The canal basin is an area of open water where vessels could load and unload goods. The canal and the canal basin date to the Imperial period, the basin being located 150m south of Alvecote. The site of an Augustinian Friary, a monastery governed by a friar. 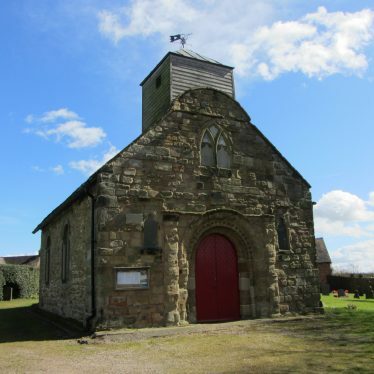 It was founded in the Medieval period, around 1260. 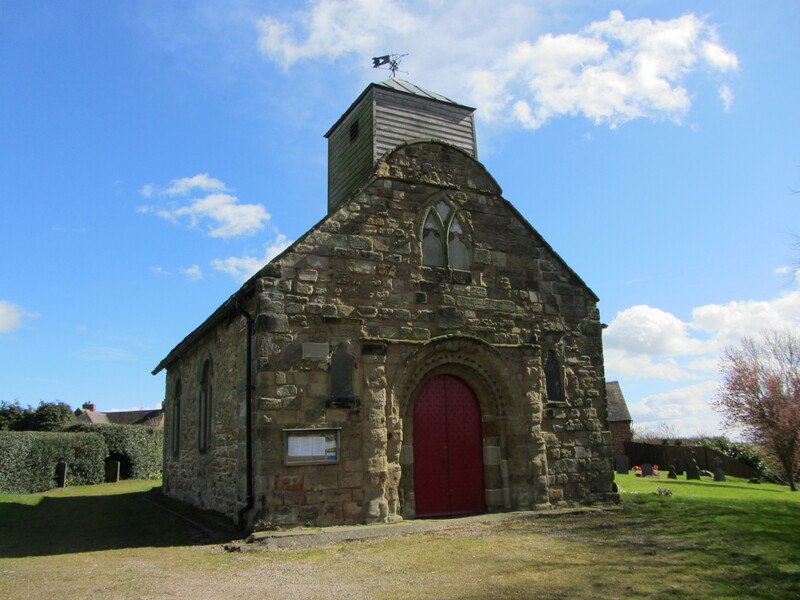 The site is situated half a kilometre south west of Shuttington. The site of brick kilns for the firing of bricks, dating to the Imperial period. They are marked on the Ordnance Survey map of 1883. 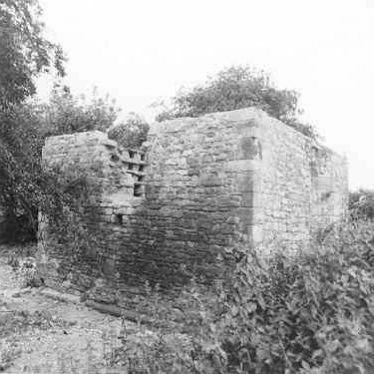 The kilns are located 100m east of Poplars Farm, New Road, near Shuttington. One of two possible sites for the church of St Helena which stood in the Medieval period. 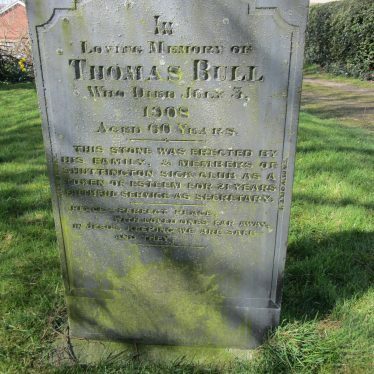 This site is believed to be the more likely because Speed's map of 1610 marks it as standing quite far from the river. The site is located in Castle Park. The Church of St Mark was built in the Imperial period in red brick and the architecture was designed to make it look like a Medieval building. 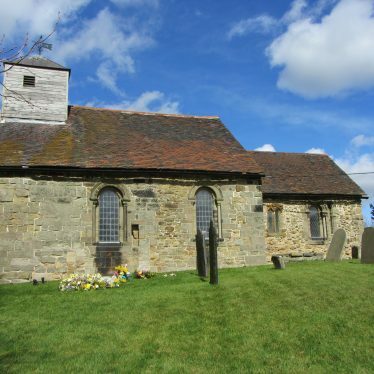 It is situated on Rugby Road, Milverton. 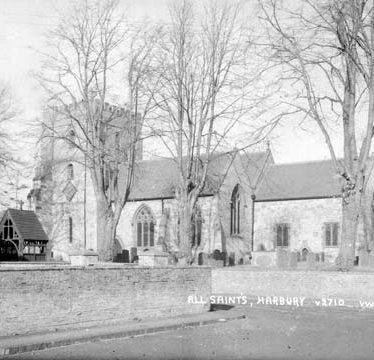 The parish church of All Saints, Harbury. It was first built in the Medieval period, but rebuilt and much altered in more recent times (Imperial period). 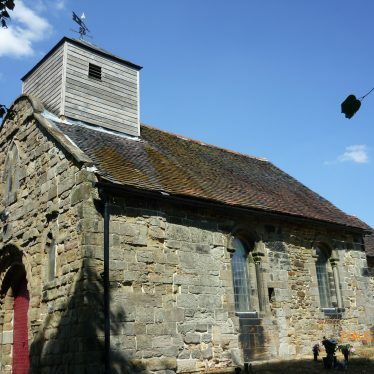 The church is situated to the south east of Harbury Hall.